A citizens' group's legal fight to halt the I-77 toll lane project north of Charlotte is over. The state Supreme Court has dismissed a last-chance appeal of a suit filed in 2015. But a leader of the anti-toll group says he still hopes politicians will cancel the project. 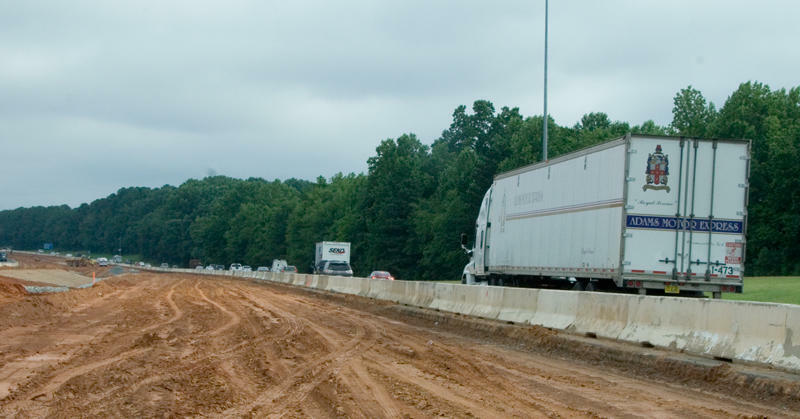 The group Widen I-77 filed suit in 2015 against NCDOT, the state of North Carolina and contractor I-77 Mobility Partners. Two lower courts ruled against the Lake Norman-area group, which argued the contract with a private company was unconstitutional. Naas said he thinks there's a still a chance politicians will decide to keep tolls off the new lanes. “What's been bandied about in the news recently is the ‘complete and delete’ option, where the project is completed, the state buys out the contract, and then opens up the general purpose lanes. And that is very much alive,” Naas said. That's one of the options provided by a consultant hired by the state earlier this year to re-examine the toll project. But it could be costly – significantly more than $300 million, by some estimates. NCDOT is currently reviewing a half-dozen options for revising the contract with I-77 Mobility Partners, an arm of Spanish construction giant Cintra. The private company is widening 26 miles of I-77 with toll lanes from the Brookshire Freeway near uptown to Exit 36. I-77 Mobility is privately financing most of the $650 million cost. The lanes are supposed to open at the end of 2018. NCDOT says it's months away from a deciding whether to act on consultant’s report on whether to cancel, revise or keep a contract to build toll lanes on I-77 north of Charlotte. That’s leaving some wondering if the DOT will act before the toll lanes are finished next year. 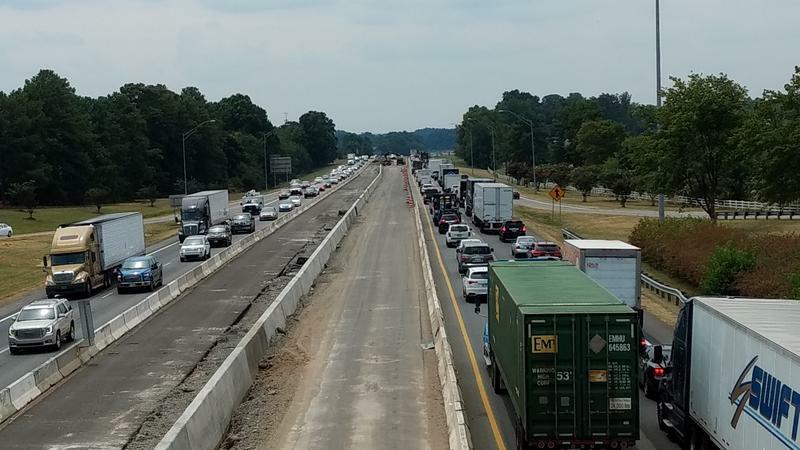 Opponents of toll lanes on I-77 from Charlotte to Mooresville have lost their appeal in a lawsuit that sought to halt the NCDOT project. In a ruling this morning, the NC Court of Appeals upheld a lower court's dismissal of the suit brought by the anti-toll group Widen I-77. Superior Court judge W. Osmond Smith III today rejected Widen I-77's attempt to halt the I-77 toll lane project. The Widen I-77 citizens group had argued the NCDOT's contract with I-77 Mobility Partners was unconstitutional. NCDOT has hired an outside firm to review its $650 million contract to build toll lanes on I-77 north of Charlotte. At the same time, DOT also is asking the public for feedback on the project.